Sports come with risks for athletes involved, creating the possibility that they will be injured along the way. Think about football players and the amount of hits they take per game. This pain eventually adds up, and with the opioid epidemic hitting the U.S., it's clear that we need to get away from painkillers where possible. Marijuana could be the key to athlete pain management, and efforts are in place to gauge the drug's viability for this purpose. The NFL has traditionally held the stance that marijuana is addictive and unhealthy, even as the NFL Player's Association started its own research in using it as a therapeutic tool. With pressure from the NFLPA and big names in the football community, it appears that the NFL is beginning to re-examine its stance on marijuana, NBC Sports reported. The organization sent a letter to the NFLPA offering to work jointly in determining the viability of using marijuana for pain management. 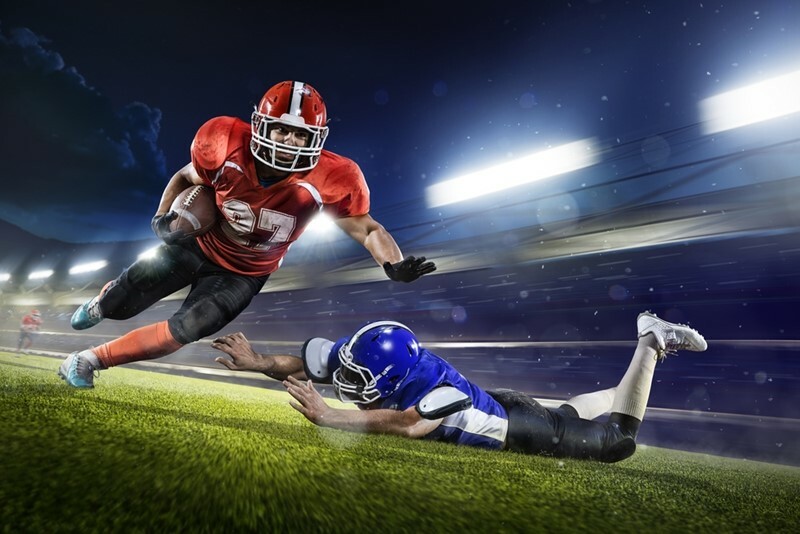 Positive results could drastically change sports, particularly as athletes currently get tested for marijuana and punished for using the drug. The NFL could research marijuana for pain management. While the NFL is still exploring the possibilities, marijuana is already becoming accepted among players and the general public. According to a Yahoo News and Marist Poll survey, 69 percent of Americans would approve of athletes using marijuana to manage pain, and 67 percent believe that painkillers pose a greater health risk than pot. As more states approve of marijuana legalization, the drug is starting to become a more normal part of society. As public perception continues to shift to a more positive view, it could mean great things for professional athletes. According to a 2010 survey of retired NFL players, 52 percent used opioids during their career, and 71 percent misused the drugs. The over reliance on painkillers and postgame beers create a perfect storm for long-term aches and dependency issues. "This pain is never going away. My body is damaged," Eugene Monroe, 30, who was released by the Baltimore Ravens last year, told The Washington Post. "I have to manage it somehow. Managing it with pills was slowly killing me. Now I'm able to function and be extremely efficient by figuring out how to use different formulations of cannabis." "Research in using marijuana can open doors for other sports as well." Research in using marijuana won't just impact the NFL, it can open doors for other sports as well. Ice hockey and boxing feature major hits that can cause injuries and pain. Even getting hit with a baseball or injured on the basketball court can have its consequences. In an interview with Bleacher Report, Athletes For Care member Bas Rutten estimated that 80 percent of UFC fighters use marijuana to recuperate, noting that taking a pain pill makes things worse. Marijuana isn't a miracle drug, and its uses still need to be tested. However, steps that the NFL are taking shows great promise in offering athletes a better, healthier way to manage their pain.